We will be organizing a half day seminar on the change in tax rate this Friday 25.5.2018. For more details, please see below. IMPORTANT CLARIFICATION: Customs has now stated in their latest FAQ that from 1st June 2018, local supply of goods and services that are at 0% rate should be reported under field 10. 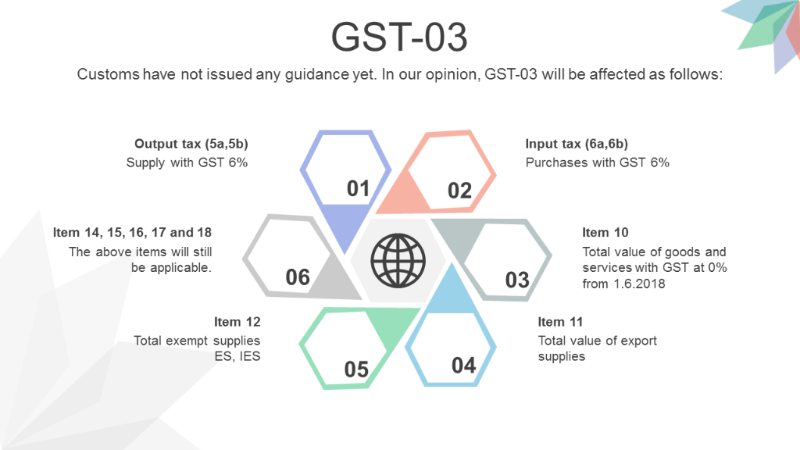 We have summarised the impact on GST-03 on the diagram below. On 16 May 2018, the Ministry of Finance (MoF) announced that the supply of goods and services in Malaysia will be subject to GST at 0% instead of 6% with effect from 1 June 2018. Kindly take note that the recent announcement is to reduce GST rate and GST Act is still in force. 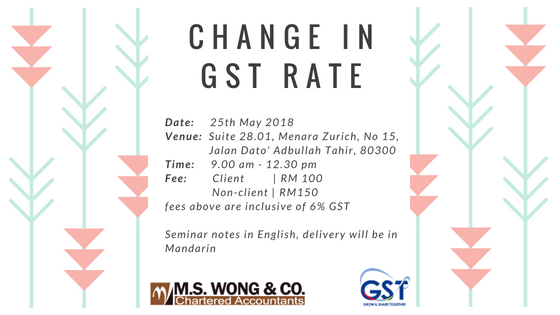 To ensure a smooth transition for GST rate from 6% to 0%, we will be organizing a seminar to discuss on this topic. Join this seminar on May 25, 2018 Morning (9.00am – 12.30 pm) by clinking on the link below. Limited seats available.